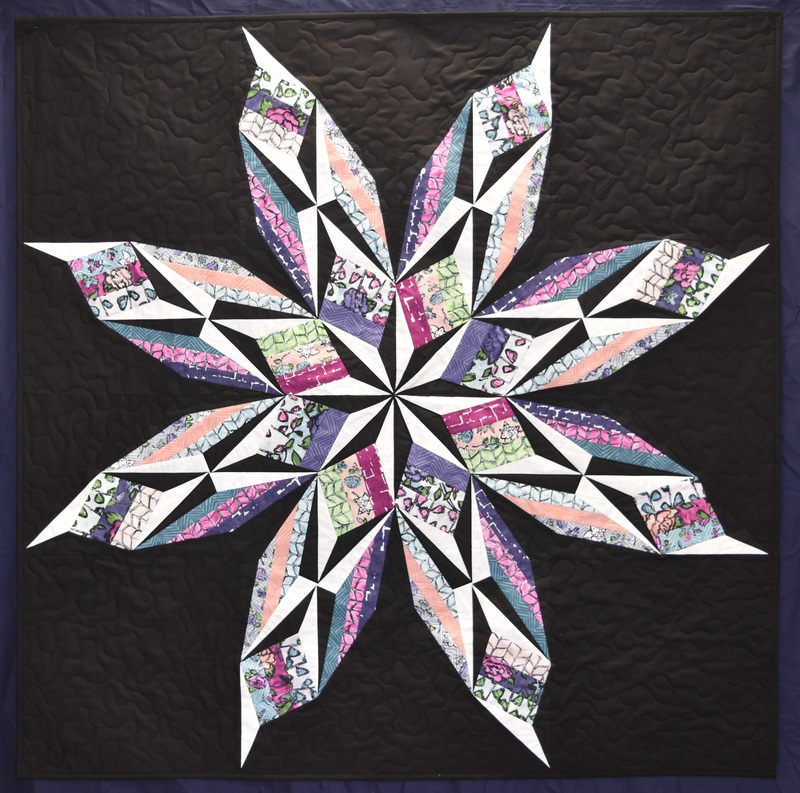 David Gilleland is a quilter and owner of Vector Quilts, he is a quilt designer whose patterns have made it onto Nancy’s Notions (that’s two links, please click both)! Check out his FB and insta. While you are at it, join Quilting with David Gillebrand, where I am a member and I often scroll and chat, in order to receive inspiration. David is a foundation piecing aficionado who runs an entire business around his craft. In this quilt, David pulls Florabunda! 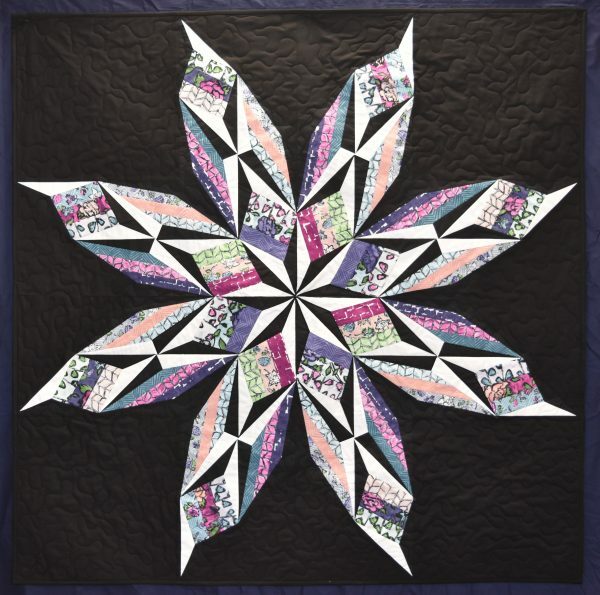 into his paper pieced world by playing with the idea of making a star that is almost more of a flower with playful and curving petals that end in a sharp point. I am thrilled with David’s contribution to the Florabunda! Blog Hop Celebration just for the fact that his quilt is so different than the others. Check out David’s post about working with Florabunda! here. June 16–Melanie Testa <— Here!